When you're following a vegan diet and are in the mood to grill, it's important to have the right vegan grilling recipes on hand. Below are a variety of tofu, seitan, and fruit grilled recipes your friends and family are sure to adore. 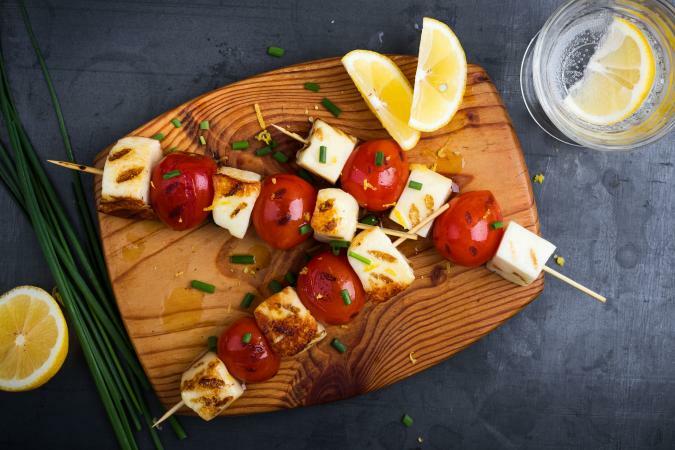 If you're seeking a colorful protein-rich recipe that makes an excellent low-carb meal or appetizer, consider this simple grilled tofu kabobs crowd pleaser. Cut tofu into bit-sized cubes. Mix together marinade (coconut milk, lemon juice, olive oil and seasonings) in a small bowl. Add tofu, and refrigerate tofu and marinade mixture for two hours. Thread tofu on kabobs with cherry tomatoes (as pictured). Place three tofu bites in each skewer. Grill over low heat for about 10 minutes (until tofu is golden), brushing excess marinade on skewers as needed. Rotate skewers every 1 to 2 minutes when grilling. Seitan can taste just as delicious as red meat in tacos when choosing this mouth-watering grilled dish. Blend all marinade ingredients (everything except seitan, pepper, onions and tortillas) in a food processor or blender until smooth. Add seitan to marinade, and let it soak overnight. Grill seitan over medium heat (brush with extra marinade every few minutes while grilling) for about 3 to 5 minutes per side, or until brown. Heat tortillas on the grill for about 30 to 60 seconds. 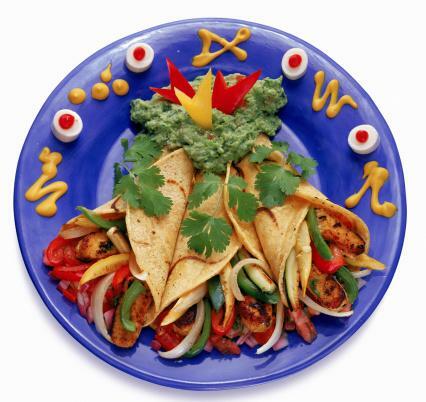 Place seitan and veggies in tortillas, wrap them up, and enjoy! Serve this sweet treat as a vegan side dish or dessert. Mix sugar, cinnamon and nutmeg together in a small bowl. 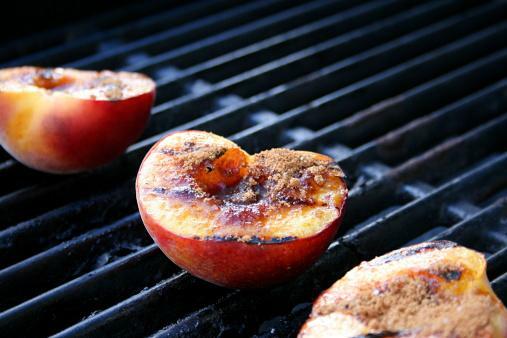 Grill peaches on medium-high heat for several minutes on each side. Top with additional oil and spices. 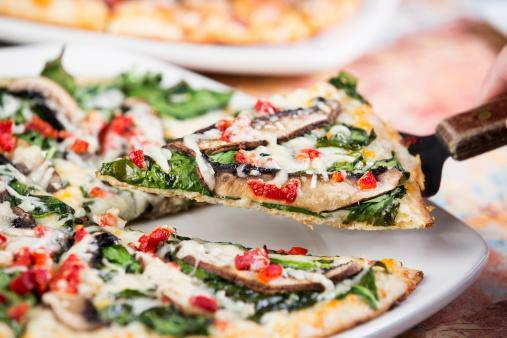 In the mood for healthy, vegan-style pizza? This vegan tofu recipe surely won't disappoint. Combine yeast, flour, and salt in a large bowl. Add oil and water and knead for about 5 minutes (until well combined). Allow dough to sit for 10 minutes. Roll dough onto a pizza pan. Bake at 400 degrees Fahrenheit for 10 minutes (until slightly brown). Brush the bottom of the dough with olive oil. Brush the top of the dough with balsamic vinegar. Top with pesto sauce, spinach, tofu, red peppers, and vegan cheese. Grill your pizza (covered) on medium-high heat for about 3 to 5 minutes, or until cheese melts and your crust is crispy. Grilled vegan recipes don't have to be dull and boring. Simply choose a variety of unique animal-free recipes to spice things up, meet your nutritional needs, and impress dinner party friends and family.